Ivan "El Chapito" Guzmán, who's been following in his father's footsteps since the Mexican drug lord was captured in January, appeared to tweet Tuesday that there was nothing amiss despite reports he may have been abducted in Puerto Vallarta. Jalisco Attorney General Eduardo Almaguer told radio host Ciro Gómez Leyva Tuesday that "there is a possibility" that El Chapito was among the roughly seven people kidnapped from a restaurant at about 1 a.m. Monday. Almaguer couldn't be certain because "several of them had false identities," the Guardian reported. But a Twitter account in Guzmán's name tweeted Tuesday "NO PASA NADA!" This translates to "nothing happens," or "everything is OK."
The group of now-kidnapped men were thought to belong to the Sinaloa Cartel, an international drug trafficking gang led by El Chapo, Reuters reported. They were eating at La Leche on Monday when armed attackers — probably from a rival faction — abducted them. Zeta Tijuana reported that nine women who had been with the group of hostages were left behind at the restaurant, as were five of their cars. Since the kidnapping, authorities have insisted the tourist town of Puerto Vallarta is safe. The governor of the Jalisco state, Aristóteles Sandoval, tweeted that he had upped security and was cooperating with the investigation. The attorney general echoed that message. "We want to stress that there is a very clear presumption that this had to do with a criminal group, it didn’t involve tourists or citizens who were involved in legitimate activities," Almaguer said at a news conference, according to the Los Angeles Times. El Chapito is one of multiple children fathered by El Chapo, the infamous kingpin who escaped from high-security prison in 2001 and 2015. 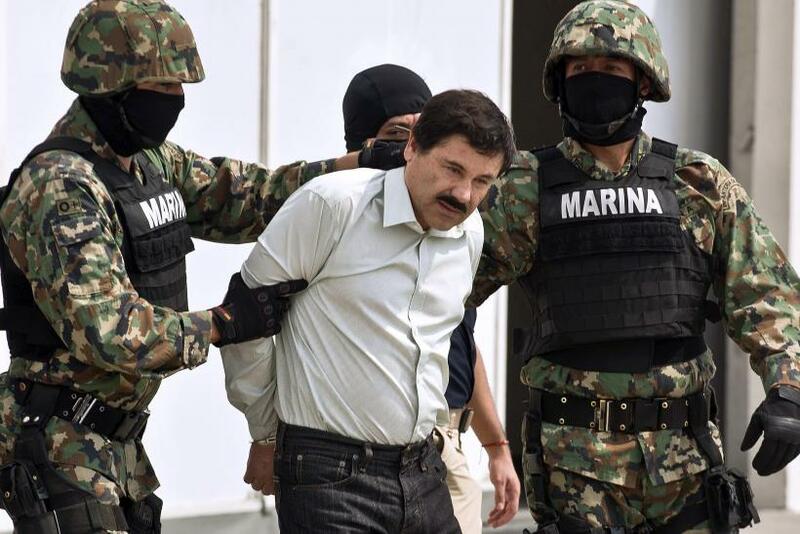 Following an expansive manhunt, El Chapo was arrested again this past January.